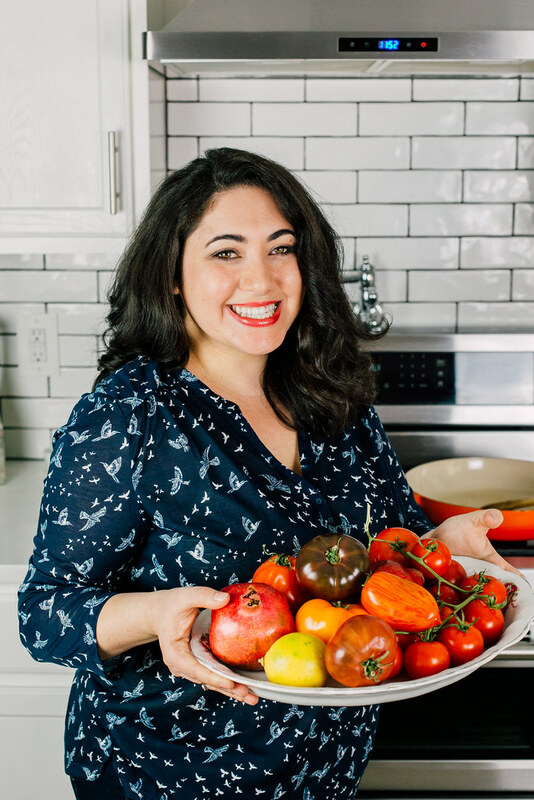 I am blending my background in latke form this year. You know how much I LOVE to create fun latke mashups every year. Do you remember my hatch chile latke with guacamole I did a few years ago? Or one of my favorite things to fry, yucca latkes? 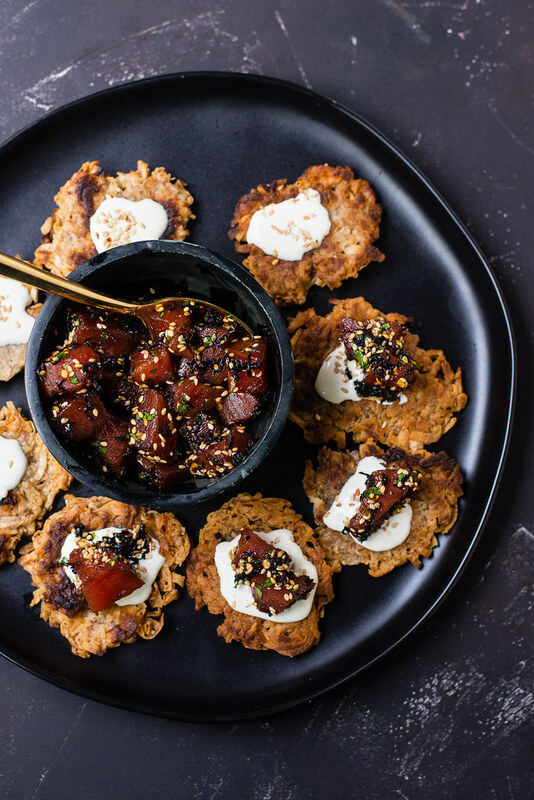 Well this year I am blending my Jewish background with my Hawaii upbringing and sharing taro latkes with wasabi sour cream and poke. I have been looking for taro everyone since we moved to Washington last year and finally found it at Whole Foods. And it looked great. 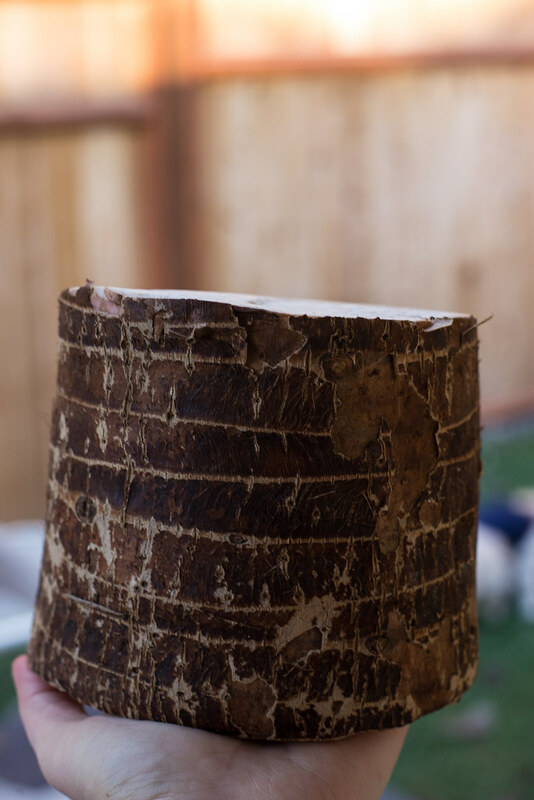 It was a huge stump just like the ones my step dad grows back in Kona. Usually when I go to the store and see taro, it can be the small roots which are more difficult to shred into latkes for this reason. If you’re not familiar with taro, here is what it looks like being harvested. This was a few years ago in my moms backyard and we just steamed it simply with coconut milk. 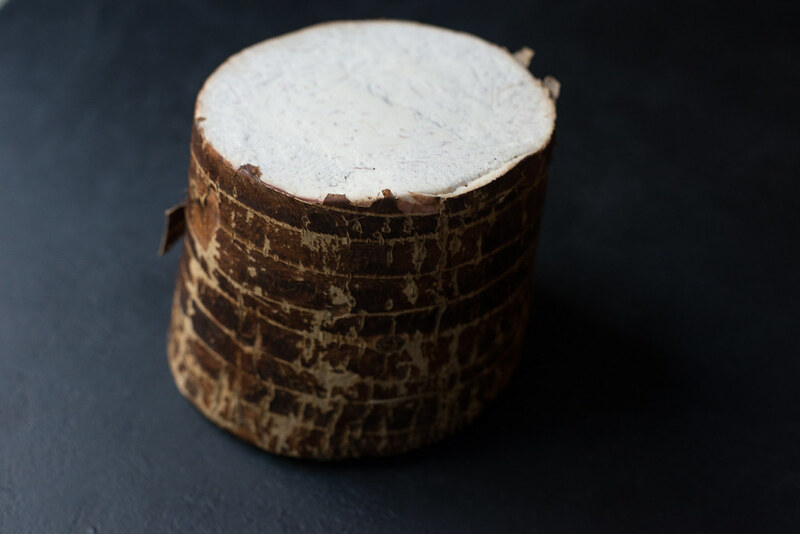 However, taro is a starchy root and when squeezed of it’s liquid (like you would do for latkes), it’s milky and thick and the shredded taro will clump together. That’s why I don’t recommend putting it through the shredder attachment of your food processor, like I normally would for latkes. 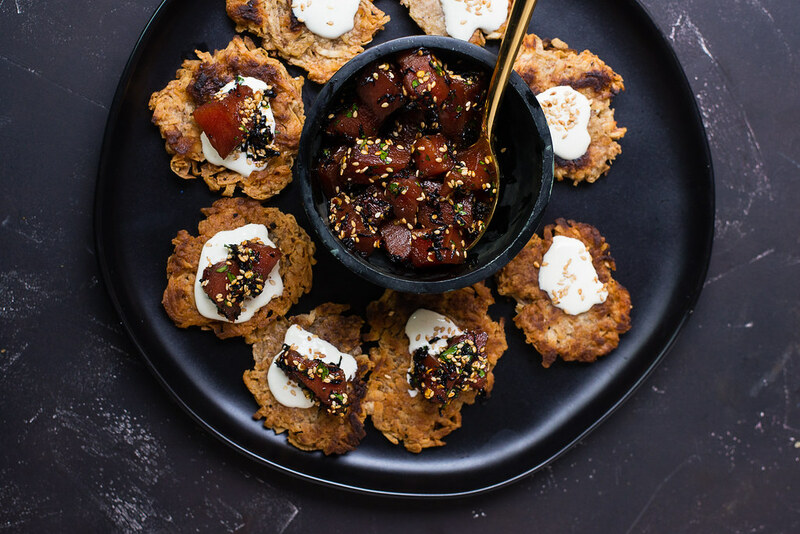 Then once fried up, top with spicy wasabi sour cream and freshly made poke. The combination of the cool poke with crispy taro is so perfect together. First make the taro latkes. Cut off the outter thick layer of taro and shred using a hand grater. (It's too starchy for food processor shredder). Then combine shredded taro in a bowl with egg, flour, salt and pepper and mix to combine. Heat a large cast iron skillet over medium-high heat with enough oil to coat the bottom. Use a tablespoon of mixture and gently add it to the hot oil. It should sizzle immediately once oil is ready. Fit about 4 latkes (depending on size of pan) and fry for about 3-4 minutes on each side until golden brown. Reserve latkes to a paper towel lined plate and sprinkle with additional salt. For the wasabi mayo, simply mix together the sour cream and wasabi paste. The sour cream will become thinner once whisked so stick it back in the fridge to firm up a bit if preferred. To make the poke, simple toss all the poke ingredients together. 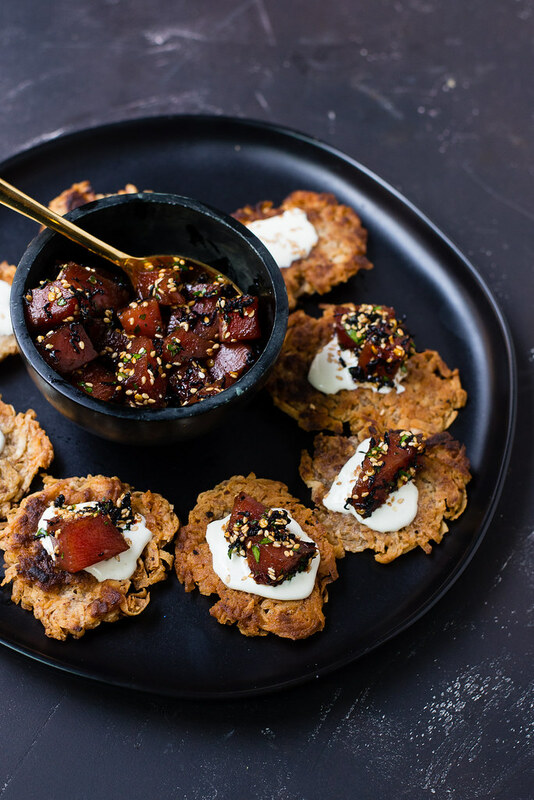 Assemble the latkes by dolloping sour cream on the latkes and then topping with poke.